Make their day a little more radient with the Sunny and Bright Every Day bouquet. A single sunflower is designed with a smiley face and is accented with green trachelium and a red satin ribbon. 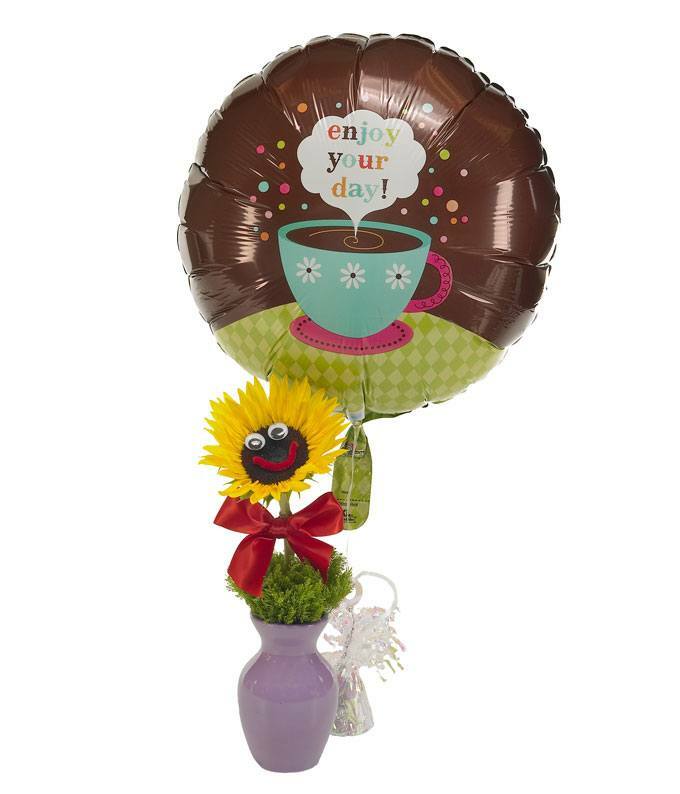 Delivered in a colorful bud vase, this unique arrangement is accompanied with an enjoy your day balloon. Measures 14"H by 5"L.